What are all the Resident Evil 2 Remake endings? If you’ve just just finished your first playthrough of Capcom’s gloriously gory remake then you may be wondering how different the story would have been had you chosen to play as the other character. In addition there are also bonus endings for the dedicated players who are willing to battle their way through Raccoon Police Station three or four times. Yep, Capcom has really gone all out in terms of content for the Resident Evil 2 Remake. There are six distinct playthroughs available to the player, that is if you care what happens to Hunk and Tofu. For the rest of us there are four Resident Evil 2 endings in the remake thanks to the game’s 2nd Run campaign, which gives you control of the character you didn’t initially playthrough as after Claire and Leon meet on either side of the Courtyard fence. That’s a lot of narrative threads and diversions to neatly wrap up, so join us as we run through all Resident Evil 2 endings to quickly get you up to speed with where it leaves Leon and Claire, not to mention the future of the series. After picking up the last sample of the G-virus from the west lab in NEST, Leon learns the origin behind William Birkin’s transformation into the G-monster – the selfish git essentially drank all of the remaining samples. We also see that the rats lapped up the virus and spread it into the cities water supply, causing the outbreak in the first place. Leon meets up with Ada Wong on the way out and she reveals her hand after some coaxing questions from Annette Birkin force Leon to enquire. Leon asks Ada if she is really an FBI agent, and in response she pulls a gun on him, creating a standoff situation, with Ada demanding the sample and Leon looking to arrest her. As they protest, the bridge they’re standing on starts to crumble. Leon drops his gun and tells Ada to shoot him, but she can’t. Annette Birkin uses her dying moments to then shoot Ada, who drops the last sample of the G-Virus and falls off the edge. Leon tries to save her, but has to let go, tearfully, and Ada falls to her supposed doom. No time to mourn though, as the station is in the midst of a self-destruct sequence. Leon sinks deeper into the lab and eventually runs into the Tyrant, who chases him onto a service elevator and is transformed into the Super Tyrant, with a giant flaming arm. After an arduous battle, Ada turns up and kicks down an anti-tank rocket launcher for Leon to use against the Tyrant. He succeeds and makes haste to the train car, just about making it onto the final train out of the facility by hanging on to the side as it shoots past him. He meets back up with Claire and Sherry and says “I told you we’d make it!” as the credits roll in abrupt fashion. Claire receives the anti-viral agent from the west wing of the lab to save Sherry Birkin and delivers it to her mother Annette. After a brutal battle with the horribly mutated William Birkin, she makes her way back to young Sherry to find her free of the G-virus she was implanted with by her father. Annette succumbs to her wounds (she was mauled by William previously) but asks Claire to take care of Sherry in her absence. 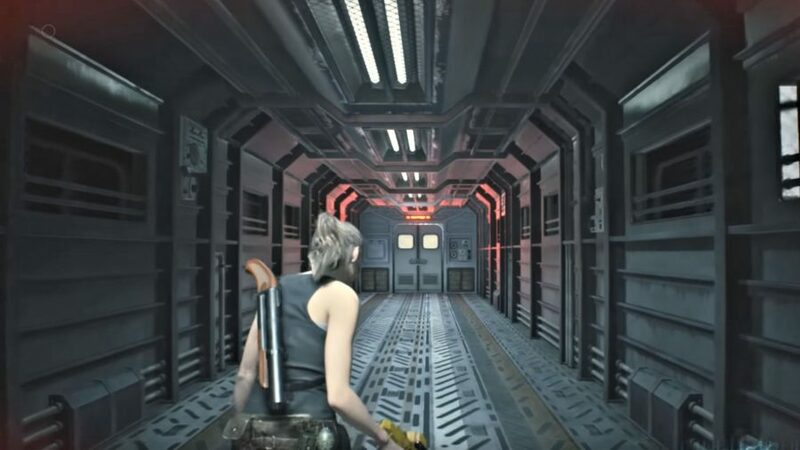 Claire races through the crumbling, self-destructing facility with Sherry in tow and finds a stationary train. Claire finds a minigun and then a plug socket to activate the train car, so she orders Sherry to stay on board and hide. When Claire activates the train, G-Birkin appears and attacks her one final time. 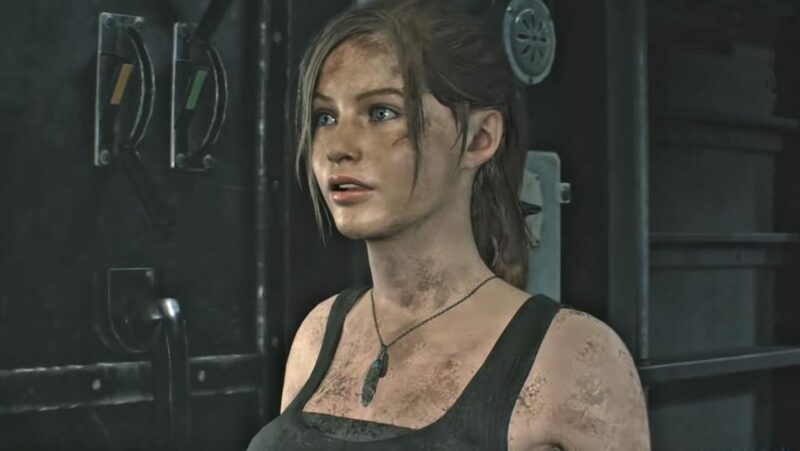 Claire destroys this mutated final incarnation with the minigun and boards the train to escape with Sherry, announcing that she’s getting out of here. Another train car attaches to hers as she presses forward. Leon appears, and they share some pleasantries as the credits slide into view. After the credits, we see a quick clip of a tentacled G-Birkin model bursting into the final train car, before we’re booted back to the main menu. Leon and Claire’s niceties are interrupted by a series of bangs from the final train car. Leon feels brave and decides to investigate only for the final incarnation of G-Birkin to burst through the door. Leon stops its death-crawl and stabs it in the eye with a pipe before leaping back to the safe train car, as Claire decouples Birkin into the chaos of the self-destructing facility. Leon, Claire, and Sherry escape the facility on the train and end up in the desert. As they walk into the unknown, Sherry jokes about them being boyfriend and girlfriend. They laugh it off, but Claire claims it would have been a “hell of a first date.” Claire ponders whether the infection is just local to the city, as a truck comes past and flips the trio off as they try to flag it down. They resolve that they don’t know if the nightmare is over, but vow to stick together to fight and stop it, whatever it takes. Sherry jokes that Leon and Claire can adopt her and pick up a puppy. Claire and Leon’s pleasantries are interrupted by a series of bangs from the final train car. Claire travels through to the next train carriage this time, only for the final incarnation of G-Birkin to burst through the back door. Claire stabs it in the eye with a pipe before leaping back to the safe train car, as Leon decouples Birkin into the chaos of the self-destructing facility. Claire, Sherry, and Leon escape the facility on the train and end up in the desert. As they walk into the unknown, Sherry jokes about them being boyfriend and girlfriend. They laugh it off, but Claire claims it would have been a “hell of a first date.” Claire ponders whether the infection is just local to the city, as a truck comes past and then flips the trio off as they try to flag it down. They resolve that they don’t know if the nightmare is over, but vow to stick together to fight and stop it, whatever it takes. Sherry jokes that Leon and Claire can adopt her and pick up a puppy. Yep, it’s the exact same as Leon’s true ending, except this time Claire is the hero. It’s a shame that A endings for both character lack any closure, but if you’re willing to blitz through a second playthrough then you can experience the true ending for yourself. 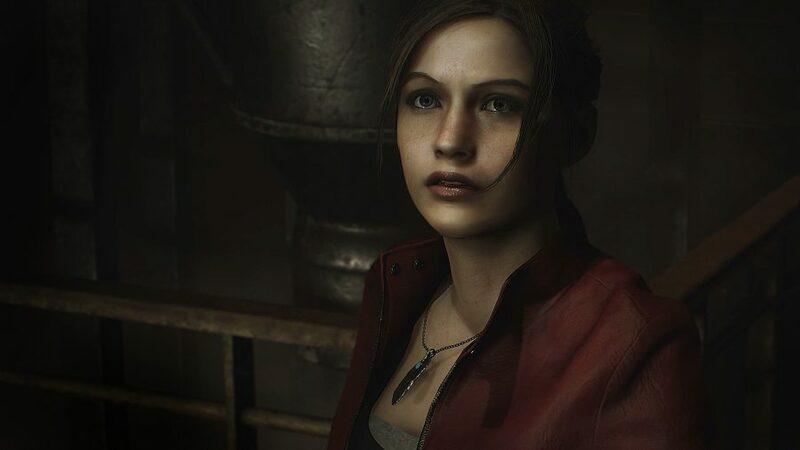 The Resident Evil 2 4th Survivor and Tofu endings really aren’t relevant to the story, but you should definitely try out these additional game modes for yourself.